Kolkata, October 29: Disabled teacher and her two students, both hearing impaired, were thrown off a private bus by the conductor near Esplanade today. The victims, who were injured in the incident, later lodged a complaint at the New Market police station, after which the driver and conductor were arrested. Continue reading Disabled Teacher, Students Thrown off Bus Near Esplanade District in Kolkata. The Tourism Ministry and the Jerusalem Tourism Board are embarking on a national campaign to promote and make the capital city more accessible as a tourist destination for senior citizens. "Jerusalem represents a major destination for pensioners but the potential of this growing population visiting the city has not yet been realized," the Tourism Ministry said Sunday. "The main reason why pensioners are not coming to Jerusalem are lack of knowledge about Jerusalem, its abundance of attractive sites and the activities available." 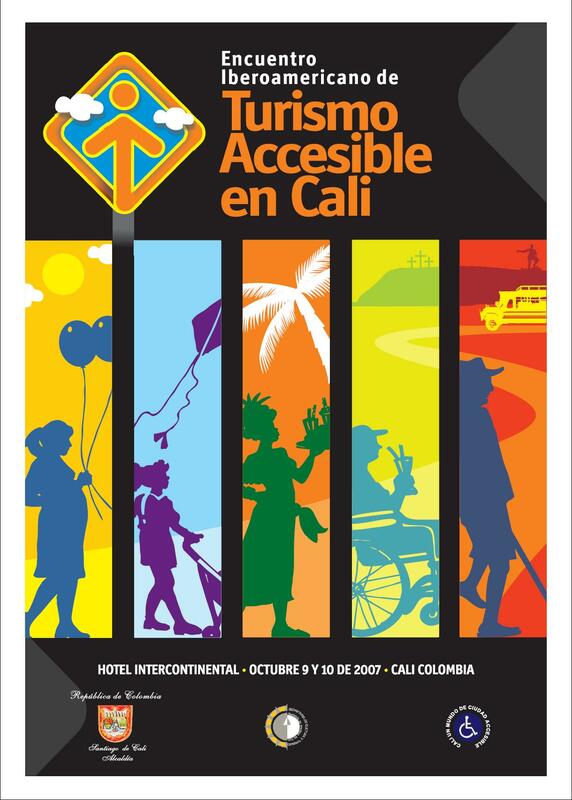 I am preparing the keynote, Global Trends in Accessible Tourism, for ICAT 2007. When we met two years ago my focus was Universal Design of facilities that were emerging as islands of innovation. This year policy and consumer education will get equal focus. Figures on the purchasing power of travelers with disabilities and data on the travel behavior of this niche are driving improvements in service. Social movements championing inclusion and legal frameworks, such as the UN Convention on the Rights of Persons with Disabilities, asserting a rights-based approach to governance and business strengthen this trend. Innovative consumer education initiatives like TV Trip.com represent the next phase of significant progress for Inclusive Tourism. Continue reading TV Trip.com: Increments of Innnovation. de crian?as e jovens com deficiência na Educa? ?o, no Trabalho e em todas as atividades da vida social. Continue reading Divulgacao do Kit Vida em Movimento (Portuguese). Recent posts on museums and access to culture in Spanish, English, and Portuguese focused on the accessibility of culture. This exhibit, "Lives in Moton" by John Ferry, Senior Education & Access Curator for the Glasgow Museums, highlights the culture of accessibility through transport. The theme holds great possibilities for public education on Inclusive Tourism. Continue reading Lives in Motion at the Glasgow Museums. I'm sending the rest via the ODO server. Juno doesn't like large files. Continue reading Indian Railway Accessiibility. Recently, someone asked me, “How do we attract more of the growing market of travelers with disabilities to Malaysia?” The answer? “Build first on your existing success in marketing Malaysia – and then brag about it! In 2006, 8,700 people had successfully applied for the “Malaysia My Second Home Programme” (MM2H). Travelers with disabilities rely heavily on the word-of-mouth endorsements of others with disabilities. Attracting the financial, social, and cultural resources of this underserved market requires strategically recruiting it members. Their firsthand endorsements from within the disability community will have an impact beyond what any marketing campaign can achieve. Continue reading Making Your Way Home to Malaysia: Preparing the Welcome. The International Association for Universal Design (IAUD) began in 2003. It drew inspiration from, and further extended, the "International Universal Design Declaration in Japan 2002." In the prospectus, the conventional concept of UD is further expanded to the creation of a sustainable society in recognition of differences in culture and habit. The expanded concept also suggests global environmental conservation and the way to sustainable design and trans-generational design. IAUD seeks to contribute to the healthy development of society and improvement of the welfare of all humans beings. Continue reading IAUD & the International Universal Design Declaration in Japan 2002. Friends in the Sky: Good Work United Airlines! While discount airlines continue their efforts to balance their books on the backs of passengers, Carl Kole from United Airlines has done important work on behalf of passengers with disabilities. Following a change in CFR power wheelchairs and scooters that have gel batteries and are secured on the device will no longer have to be disconnected. Work is underway to standardize it internationally with both IATA (International AirlineTransport. Assoc) and US DOT. The Australian Human Rights and Equal Opportunity Commission has received an application (attached in MS Word format) from Regional express airlines (Rex) requesting exemption from sections 23 and 24 of the Disability Discrimination Act so far as to permit Rex placing certain restrictions and requirements on the carriage of passengers with specific disabilities on its SAAB aircraft. Would an aircraft design process that had acknowledged that the 4 million Australians with disabilities are potential passengers not have been a more elegant and sustainable solution? Transferring onto travelers with disabilities the consequences of Rex's choice to purchase what they now claim are inappropriate vehicles seems more like sleight of hand than justice. Continue reading Unfriendly Skies? Application for Temporary Exemption: Regional Express. The Passenger Vessel Emergency Alarms Advisory Committee has been formed by the US Access Board. It examines vessel emergency alarm systems and notification procedures in relation to the needs of passengers who are deaf or heard of hearing. Continue reading US Access Board Creates the Passenger Vessel Emergency Alarms Advisory Committee. Just for fun try the Gimpy Girls blog: A Lifestyle Magazine for Aging Baby Boomers, the Disabled and the Just Plain Lazy. Continue reading The Freedom to Roll on Your Own. The following interview appeared in "Portal do Voluntario." It is an interview with the woman behind Rio de Janeiro's Sensory Garden, Cecília Beatriz da Veiga Soares. The garden is housed in Rio's famous Jadim Botanico (Botanical Garden) in the beautiful Lagoa district. Durante um passeio pelo Jardim Botanico do Rio de Janeiro (JBRJ), Cecília Beatriz da Veiga Soares, paisagista e diretora da Associa? ?o de Amigos do JB , sentiu o privilégio que ela tinha de poder usufruir e apreciar a natureza ao seu redor. Enquanto caminhava, percebeu que os deficientes visuais n?o tinham como desfrutar desse espetáculo. Entrou em contato com o Diretor do JBRJ e sugeriu a constru? ?o de um jardim especialmente para pessoas com algum tipo de deficiência. A idéia foi recebida com entusiasmo e, em mar?o de 1995, foi inaugurado o Jardim Sensorial dentro do Instituto de Pesquisas do JBRJ. Recentemente foi inaugurado um jardim semelhante no Jardim Botanico de Brasília e há um plano de construir um jardim dos sentidos no Jardim Botanico de Recife. Nos dois casos, o JBRJ é citado como modelo. Cecília, a idealizadora do projeto, fala sobre o sucesso que o Jardim vem fazendo, 12 anos após sua cria??o. Portal do Voluntário – O que é o jardim sensorial? Continue reading A Garden for the Senses - O Jardim Sensorial. Now, before I am accused of cultural bigotry for sharing this bit of political theater commented on by Peter Tan in Malaysia let me remind readers that Jerry Lewis raises millions of dollars in the United States each year preaching from an equally handicapped theological script. Apparently Malaysian Member of Parliament Datuk Badruddin Amiruldin (BN-Jerai) thinks he has the inside track to the Divine when it comes to disability. In an angry courtroom outburst at an opponent he shouted, "Now you are sitting in a wheel chair. God has punished you." The News Goes Public: Red Carpets Roll Out on Copacabana Beach! After several years of persistent advocacy - and some recent public tests of alternative products - the beaches in Rio de Janeiro are to become accessible to wheelchair riders. In Portuguese that's "cadeirantes." 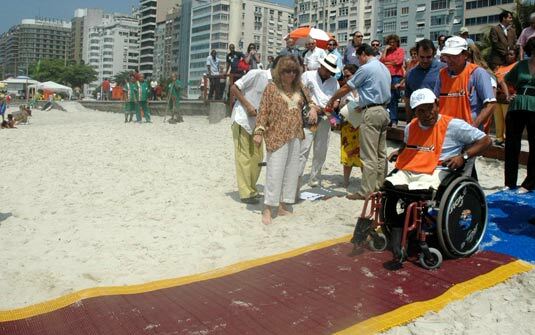 Hit the beaches of Rio thanks to the cumulative efforts of the Rio City Project, Designing for the 21st Century III, the Pan American Games of 2007, and the continuous work of Cariocas (residents of Rio de Janeiro) with disabilities and their allies. The winning design, typical of good design, is also sustainable and green. Access will be provided using bamboo mats prototyped by professor José Luis Ripper of PUC-Rio. Parabems, prof! Below is a story from O Gobo newspaper in Portuguese. Continue reading The News Goes Public: Red Carpets Roll Out on Copacabana Beach!. LEED building certification awards points for Universal Design as sustainable green practice and the tourism industry accelerates the convergence between Universal Design and green building with the Davos Declaration. While MIT's House Research Consortium was preparing homes through their Open Prototype Initiative, Access Living in Chicago was applying good design with readily available materials to its offices as described below. Continue reading Universal Design Meets Green Design = Good Design. Facebook is excluding users with poor vision and reading difficulties from its social network, through recent changes to its accessibility options, according to usability and accessibility specialist Foviance. Continue reading Faceless on Facebook: Inaccessibility in Web 2.0. 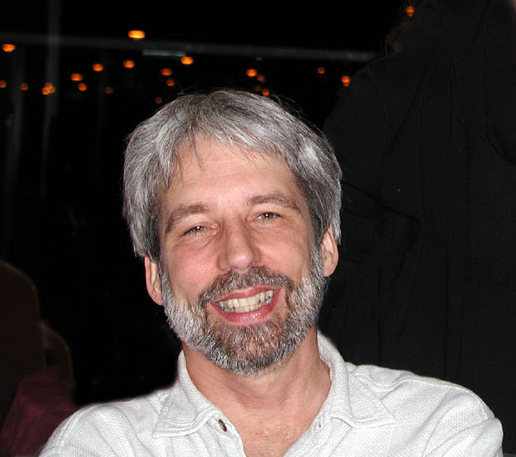 Interviewed by Ann Lombardi of the Trip Chicks on "Travel Talk: Escapes!" "Manufacturers are showing an overwhelming response to the needs of the Boomer population," Adam Sohn associate director of media relations says. "Some of the biggest names in consumer brands includingHewlett Packard, Microsoft, Nintendo, Home Depot, along with hundreds of other companies were at our event, exhibiting new products and looking to tap into the boomer market." Stephen Joyce (who had the idea of the book) as publisher, as well as Mathieu Ouellet and I as editors are spearheading the initiative to publish this book for the Canada-e-Connect Conference on November 7-9 in Vancouver. The book will be a collection of 100 (or so) of the best posts from T-List bloggers who are the actual authors of the book. The audience for the book is executives, marketers, and decision makers from the travel and tourism industry. Topics will include customer trends, emerging technologies, e-marketing tips, social media, new and ground breaking website reviews, etc. The book is a promotional piece and will not be sold, but attendees at the Canada-e-Connect Conference in Vancouver will get an exclusive print copy as part of their attendance. Additional copies will be made available at the contributing T-List bloggers website as an e-book download. Continue reading Tips for the T-List: A Rolling Rains Article in a New Book. Abraham Maslow postulated a hierarchy of human needs in his 1943 paper “A Theory of Human Motivation.” He further refined the idea through his lifetime. Just where does tourism intersect with Maslow’s hierarchy of needs? Maybe not where you think. Often represented as a pyramid with the base being physiological needs Maslow observed an impulse toward satisfying ever higher needs. Deficit Needs were his name for the first four needs: physiological, safety, belonging, and esteem. The remainder which he called Growth Needs. He noted that Deficit Needs were so fundamental that each prior need must be satisfied in order for a person to progress to the next. Continue reading Maslow, Marketing, & Maturity Revisited. Continue reading Caminhos de Minas. Continue reading UN Handbook Rights of Persons with Disabilities. In the field of disability studies and among those who champion disability pride it is commonplace to talk about "disability culture." The concept will figure in an essay I wrote for New Mobility magazine about travel and disability. There is another conversation heating up. It seems to be happening in several places around the world simultaneously. One would hope it is in part due to the impact of the UN Declaration on the Rights of Persons with Disabilities that includes access to culture. Both in the Spanish-speaking and the Portuguese-speaking worlds access to museums has surfaced as a recent issue for advocacy. On a broader scale, access to heritage sites such as the Taj Mahal or Angkor Wat, reflects the same concern. Below are two articles in Spanish and Portuguese and a link to a museum project reported by Ms. Wheelchair Massachusetts 2007. Continue reading Museums and Access to Culture. Continue reading Senderos de La Palma - Canarias. The JFA Daily (10/15/07) cites an Orlando Sentinel report that Disney World and SeaWorld will not allow Segway users. This turns out to be a difficulty for visitors like James Nappier. Continue reading Disabled Advocates Push Disney World, SeaWorld to allow Segways. Freelance writer Robin Avni has succeeded in writing a type of story about Universal Design in homes that I don't believe I have seen before. Intelligent, excellently illustrated, and personal without being mawkish or drawing on stereotype this is definitely an article worth reading. Designer and builder Sanjay Soli transcended the sterility of simple "accessible design" and retrofitting to achieve striking stylishness through Universal Design. Avni has written a piece on disability lifestyle worthy of New Mobility magazine. Kudos to the Seattle Times Pacific Northwest magazine for bringing to mainstream readership both the concept and the heart behind good design. See Inviting to All . Continue reading Inviting to All - Good Writing on an Exemplary UD Project. Continue reading The Bangkok International Conference on Accessible Tourism. Brazil has a national movement for social inclusion that spans disabilities and emphasizes participation in culture. Thanks to Anahí for sharing this campaign video promoting captioning. (Video in Portuguese and Brazilian Sign Language, "Libras" (Língua Brasileira de Sinais). A research team from the Rehabilitation Engineering Research Center on Universal Design and the Built Environment at the State University of New York at Buffalo is conducting online surveys examining how designed environments affect individuals' activities. The environments being studied are public buildings, streets and residences. The study is interested not only in the experiences of individuals with cognitive, hearing, mobility or sight conditions but also in the experiences of individuals with none of those conditions. Widespread participation is very important to the goal of this study to identify environmental design features that are useable by everyone. If you think you might be interested in participating or would just like additional information, go to the research study's website at http://www.udeworld.com/research/index.php. The surveys will be available online through January 2008. 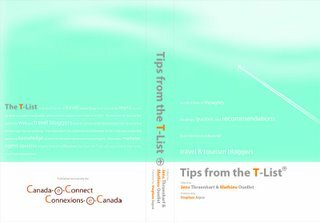 The new book on travel marketing, Tips From The T-List, is scheduled to be launched at the Canada E-Connect Conference on the weekend of November 7 - 9, 2007. Rumor has it that the anthology will include an article on marketing to the disability market. Inaccessible Telephone Technology? AAPD Answers the Call! Here is Silicon Valley I have the privilege of meeting with technology designers who are in residence or just passing through. Not long ago I had the opportunity to discuss NTT DoCoMo's universally designed phones with their engineering team. One of the problems we lamented was the lack of communication between people with disabilities as consumers of phones and telecommunications companies. 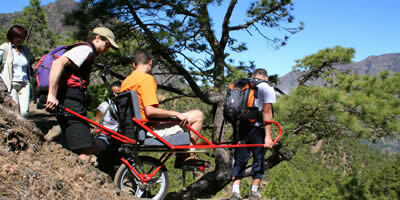 The American Association of People with Disabilities (AAPD) is taking up the challenge. Because the size of the problem is expanding geometrically with the aging of Baby Boomers the failure of AARP to be a full partner in this work is disappointing. However, it demonstrates once again that the disability community is pioneering the new definition of retirement by being "beta testers for aging." 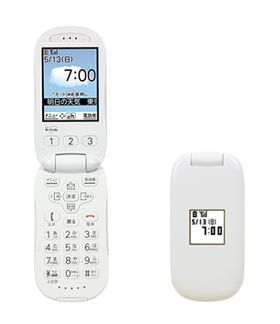 Continue reading Inaccessible Telephone Technology? AAPD Answers the Call!. The entire [with]TV blog has moved over to the Typepad blog engine to make life much easier for Blogmaster Connie Kuusisto. The international design conference is to provide the scientific background for the motto of this year's design biennale, "Light" (Life, Identity, Green, Human, Technology). The conference will deal with the industrial value of design as well as design's new orientation towards convergence and communication in the era of U-Design and the new roles, which designers will play in it. The term "U-Design" refers to universal design, design for everyone. Continue reading Gwangju Design Biennale 2007. The European Union Committee of Ministers played an important role in the promotion of Universal Design with the following resolution in 2001. Continue reading The TOMAR Resolution. Part of the reason transportation and hospitality infrastructure and practice remains inhospitable is because the reality of the lives of people with disabilities is not accurately portrayed. K. Murali of Deaf Leaders in India has a proposal to begin to remedy that. Continue reading "Reality TV" in India : Sound of the Silent. You can find numerous helpful resources. There is even an opportunity to sign up as a volunteer. Lingo 24 - Professional Translation and a Little Geography Fun! Continue reading Lingo 24 - Professional Translation and a Little Geography Fun!. Every so often it is good to review the basics -- especially when they keep changing on you! Below is a good introduction to the changing definition of the concept of disability. This is an especially good read for those in the US who feel they are familiar with the Americans with Disabilities Act (ADA). There are some better adapted definitions ut there than the one codified in ADA. Continue reading The World Health Organization's New Definition of Disability. Discussions about visual communication of accessibility, icons, and iconographers have appeared here occasionally. Liat Ben-Moshe and Justin J.W. Powell have recently published a scholarly paper on the subject entitled, "Sign of our times? Revis(it)ing the International Symbol of Access." The abstract is available here. Someday, maybe soon, travel attire could be high tech. Read the announcement of an upcoming conference from the Wireless Rehabilitation Engineering Research Center (RERC) newsletter. Continue reading Tutorial on Wearable Computing for Persons with Disabilities. Guy Fisher demonstrates the best of this site's Flickr.com Travel With a Disability Photo-Sharing section by uploading a photo essay today. John Hockenberry once wrote that "New York City will probably always require an aggressive mix of physical and social skills to get a wheelchair off the street and back onto it." Navigating the crowds and traffic in Times Square will definitely put your wheelchair skills to the test. We ended up taking several trips through the square, and I enjoyed the challenge of dodging pedestrians, mixing into the flow of the crowds and jockeying for a straight shot to the curbcuts. On our last trip through the hurly-burly, I went ahead and turned the traffic bollards that lined the streets into my own private wheelchair lane. Continue reading Guy Fisher Does New York. Last week the Brazilian nonprofit Aventura Especial selected Serra da Canastra National Park as the location for a model project demonstrating best practices in outdoor accessibility. A press release has not yet been issued. O ONG Aventura Especial elegeu a semana pasada o Parque Nacional da Serra da Canastra para um projeto modelo das boas práticas de acesso. Ainda n?o saiu noticias para a midia. Continue reading Brasil: Portadores de Deficiências e Esportes de Natureza. Portraying Ian Curtis in "Control"
Disabled people routinely get their intelligence insulted by films - especially in films reeking with liberal good intentions and positively clanking with awards. Anton Corbijn's Control, his outstanding film about Ian Curtis and Joy Division, opens this week, and I've seen it discussed from almost every angle: it's a film about music and New Wave, or it's a film about love, or about England. As it happens, though, there is one sub-heading under which it hasn't yet been placed: a film about disability. Ian Curtis had epilepsy, and the film boldly shows Curtis having an episode on stage. The idea of disability is not central to the story, and in fact its non-centrality may conceivably contribute to a debate as to how central to their identities disabled people wish their disabilities to be seen. Yes, of course I am going to turn even this into a commentary on travel & disability. You wouldn't be at this blog if you hadn't come to expect that now, would you? Continue reading Portraying Ian Curtis in "Control". If MIUSA (Mobility International USA) had existed when I was a student -- well, during the first couple decades that I was a student anyway -- my life as an exchange student (all three times) would have been much easier. I certainly would have been able to find the mentor that was nowhere to be found at that time in the fields of student services, student exchange, or international development. That is why I am always pleased to support the excellent work of MIUSA and have spent much of my career assisting the students they serve. Check out their student exchange program to Bahrain. Hurry. Application deadline is November 19, 2007. Continue reading New Web Site for MIUSA. The United States lives in a fog of denial about the coming population inversion. When the fog burns off the slow, steady adoption of Universal Design best practices that we have been documenting in the housing, leisure, hospitality, and development fields will catch the inattentive by surprise. MONEY magazine published survey results this week on the next wave of "future shock". Almost 3,000 Boomers participated in the survey (Forever Young) conducted to examine their attitudes and its potential social impact. Boomers are starting to form a new agenda, a reinvention of the American dream that emphasizes friends and family over making money, having fun over working hard, and making a difference in the community and the said MONEY's Marlys Harris in her article on the survey. The study shows that 63% of participants said their definition of success has changed since their late teens and early twenties. Living independently and maintaining health are the top two goals of Boomers. Also, Independent Living Centers serve as a strong advocacy voice on a wide range of national, state and local issues. Continue reading Boomers: A Generation Discovers Universal Design, Inclusive Travel, & Livable Communities. "UNWTO Assistant Secretary-General Geoffrey Lipman said that “We know that the solutions for climate change and for poverty are interrelated...."
Continue reading The Davos Declaration. The Uniteed Nations reports that India has ratified the UN convention on rights of disabled. 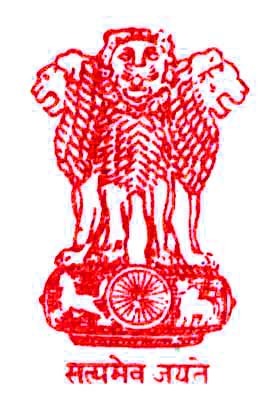 Continue reading India Ratifies UN Convention on Rights of Disabled. The WHO book on active aging for has now been released. It is available from WHO Press here. Population ageing and urbanization are two global trends that together comprise major forces shaping the 21st century. At the same time as cities are growing, their share of residents aged 60 years and more is increasing. Older people are a resource for their families, communities and economies in supportive and enabling living environments. WHO regards active ageing as a lifelong process shaped by several factors that, alone and acting together, favour health, participation and security in older adult life. Informed by WHO's approach to active ageing, the purpose of this Guide is to engage cities to become more age-friendly so as to tap the potential that older people represent for humanity. By working with groups in 33 cities in all WHO regions, WHO has asked older people in focus groups to describe the advantages and barriers they experience in eight areas of city living. In most cities, the reports from older people were complemented by evidence from focus groups of caregivers and service providers in the public, voluntary and private sectors. The results from the focus groups led to the development of a set of age-friendly city checklists presented in this guide. Continue reading Released: Global Age-friendly Cities - A Guide. Continue reading Primeira Jornada nacional de Sensilizacion: Areas Naturales sin Barreras. We use simulations and experiential learning to engage participants. We keep them doing, thinking, feeling, smelling, tasting, and hearing tourism while still in the classroom. Disabled People's International in Thailand has published the revised schedule for the 2007 International Conference on Accessible Tourism. It will be held in Bangkok November 22-24. The conference description below itemizes the emergence of a strong policy framework to undergirds this regional movement for Inclusive Tourism. It is a sign of transition into a new phase of maturity of the market that the Thai government, UNESCAP, and industry are collaborating on this event. Organizers hope to continue the momentum with emphasis on a rights-bsaed approach to disability issues. It is also a reminder that we have a little farther to go in inter-regional coordination -- that we scheduled ICAT 2007 in Thailand at the same time that ENAT scheduled the European Congress on Inclusive Tourism in Valencia, Spain! Wouldn't it be nice if the real reason for the calendaring pileup were that there was now such a groundswell of interest in the topic that the collision was unavoidable? We will organize the [ICAT 2007] Conference along with the Ministry of Tourism and Sport, the Ministry of Social Development and Human Security, Bangkok Metropolitan Administration, UNESCAP and Disabled Peoples’ International Asia Pacific (DPI-AP). The Conference aims at the promotion of accessible tourism in the region as a way to enhance the implementation of the Biwako Millennium Framework for Action towards an Inclusive, Barrier-free and Rights –based Society for Persons with Disabilities (BMF), Biwako Plus Five and the Plan of Action for Sustainable Tourism Development in Asia and the Pacific (phase II 2006-2012) focusing on access to built environments and public transport and training and employment including self-employment. 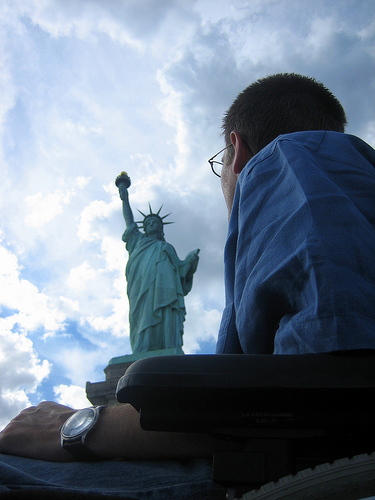 Continue reading International Conferences on Accessible Tourism.